Classic rock from Status Quo as Francis Rossi, Rick Parfitt, Andy Bown, John 'Rhino' Edwards and Leon Cave bring their live show to the massive O2 arena, just as they did this time last year, but this time it's for their final full-on electric show. Making what has become something of an annual pilgrimage to The O2, the Quo will play a rundown of their biggest hits, new and old. Support comes from American rock band REO Speedwagon and The Lounge Kittens. 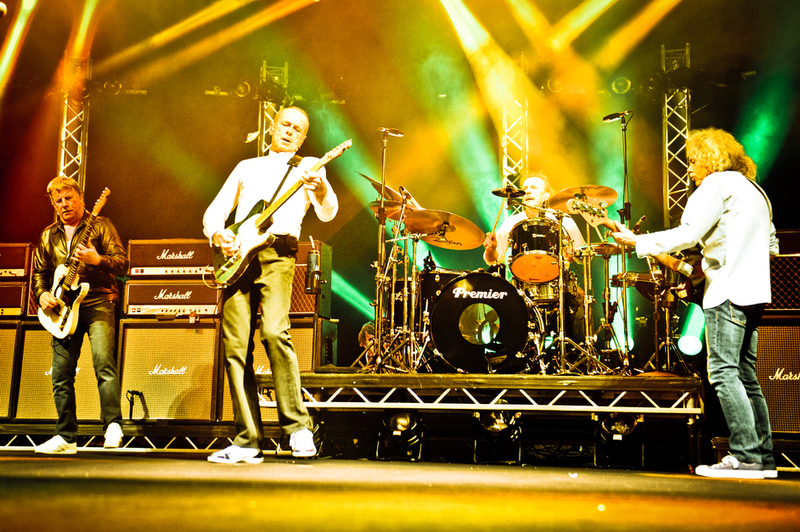 What are the best dining options near Status Quo: The Last Night Of The Electrics Tour London? Status Quo: The Last Night Of The Electrics Tour gyms, sporting activities, health & beauty and fitness. The best pubs near London Status Quo: The Last Night Of The Electrics Tour. Status Quo: The Last Night Of The Electrics Tour clubs, bars, cabaret nights, casinos and interesting nightlife. Where to have your meeting, conference, exhibition, private dining or training course near Status Quo: The Last Night Of The Electrics Tour. From cheap budget accommodation to luxury 5 star suites see our discounts for The O2 Arena hotels, including Radisson Blu Edwardian New Providence Wharf from 91% off.